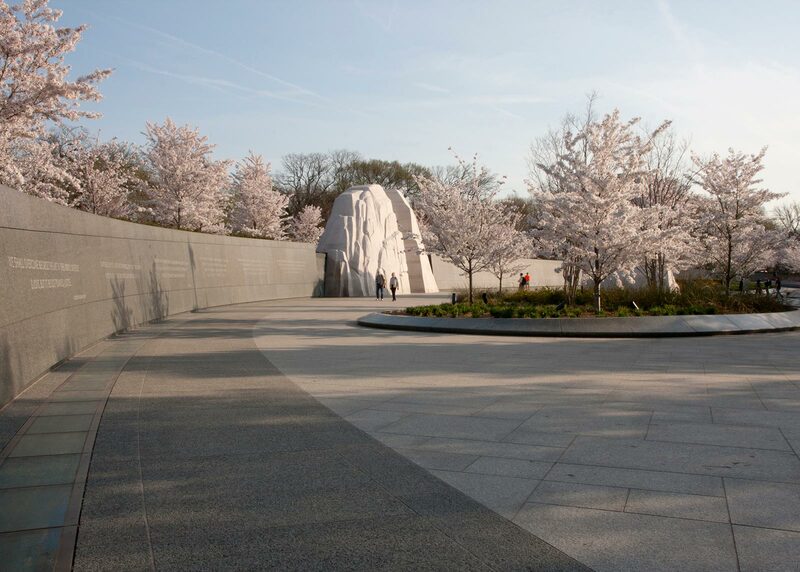 Authorized by Congress in 1996, the Martin Luther King, Jr. National Memorial was a groundbreaking project. 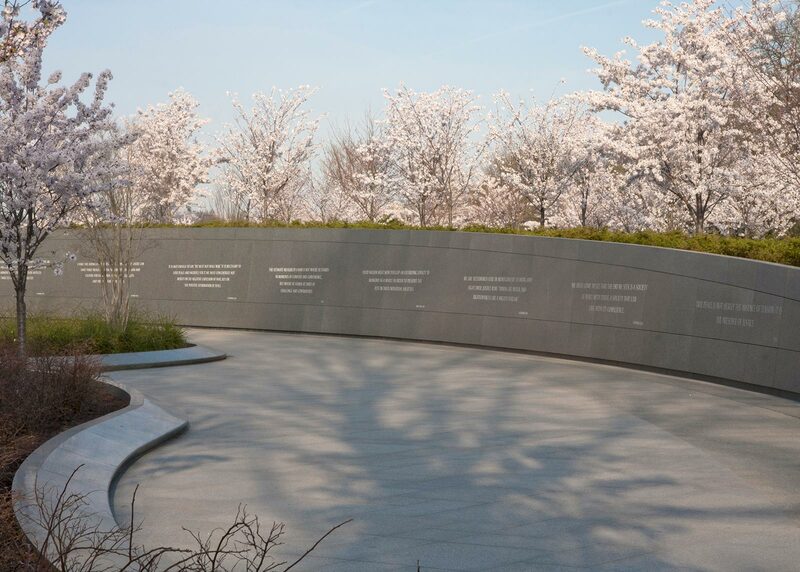 It is the first memorial on the National Mall dedicated to an African American, and one of only a few dedicated to non-presidents. The site, a four-acre plot on the northeast corner of the Tidal Basin, is within the precinct of the Jefferson Memorial. 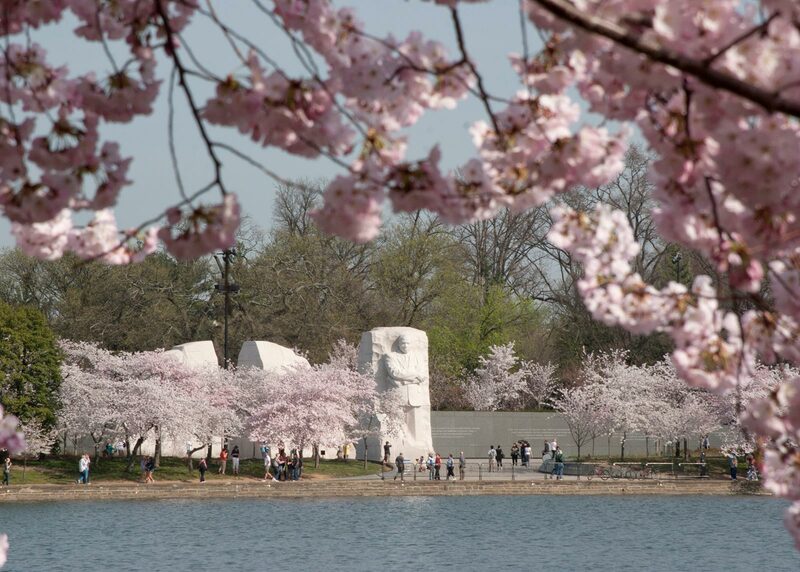 OvS, the Landscape Architect of Record for the project, created a landscape memorial that honors the visionary figure of Martin Luther King, Jr., yet was sensitive to its placement near the Tidal Basin’s famous Yoshino cherry trees. 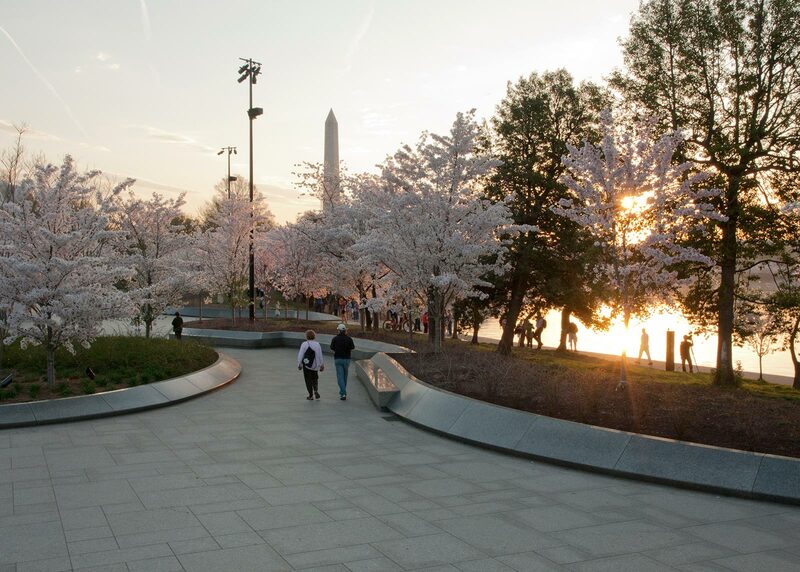 The original trees, a gift to the U.S. from Japan in 1912, are a historic feature in their own right and the National Cherry Blossom Festival is attended by hundreds of thousands each spring. 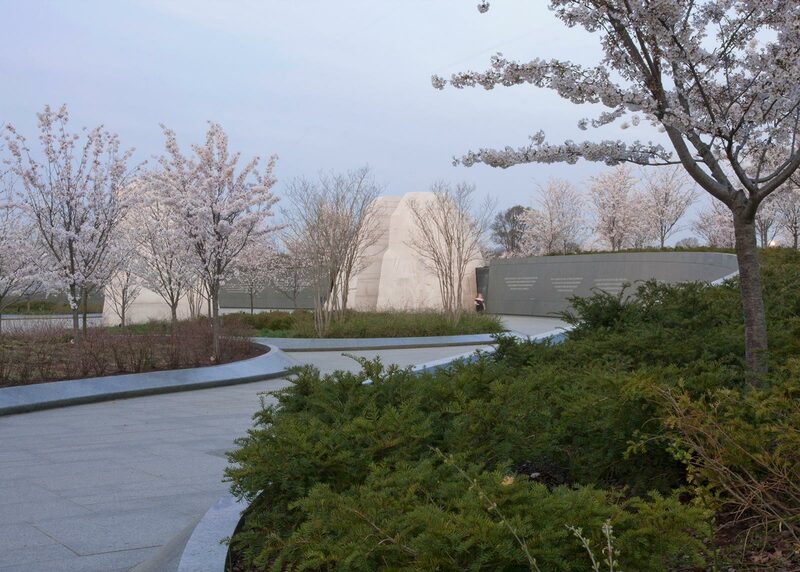 OvS balanced the profundity and scale of the Memorial with the beloved cultural traditions of the site by adding 182 cherry trees to the memorial landscape. The landscape plans and program were successfully ushered through the extensive approval processes, overseen by the National Capital Planning Commission and The Commission of Fine Arts. The Memorial now pays homage to Martin Luther King, Jr. while preserving the history of the surrounding area.